The ESA just released this very interesting study Mom Gamers Study: A New Generation of Gamer that says that 74% of Mothers today play video games and most of them do so on a mobile device of some sort (Smartphone most likely). 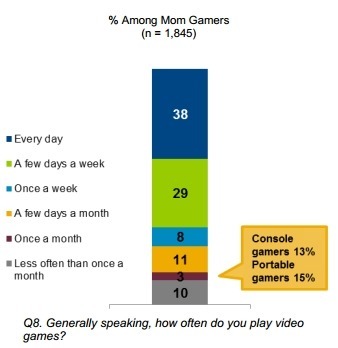 Mothers today are also more likely to be playing a game at least once a week (and most play every day). What I also found important is that the the majority of them (71%) also indicate that they closely monitor the video game content of their children and that 56% of gaming Mom’s agree that they video gaming can be a family activity. I think this is potentially a critical shift in the relationship of Parenting and Video Games. There are still a lot of influential people who consider video games as generally bad, especially for children. I disagree with this view but I won’t go into this debate today as I and many others have argued previously that there are benefits in playing video games for children which has become a common discussion topic these days. What I have also said is that one can never expect any sort of medium (TV and Video Games included) to replace Parenting and this shift of Mothers as active video game players who can also effectively monitor/play video games together with their kids is important as it could finally indicate a bridging of generations rather than a widening generation gap which has been the general trend so far. Only if Parents actually play video games will they understand it and therefore be able to correctly assess and appreciate their children’s video game play time for all the right reasons. I remember when I was answering questions in a parenting conference (Organized by Dr. Louise Porter) not too long ago it became clear to me that it was difficult for them to assess what was suitable for their child because they were unfamiliar with Video Games in general. Imagine if you had to try to determine the appropriate reading materials for your child but you were illiterate? Perhaps an exaggerated example but it’s in the same ballpark. If you don’t play video games at all or try to play together with your child, how will you ever understand why kids (and adults) are so fascinated with it? The trend is clear. For all the parents who are not yet playing Video Games, apparently you are now in the minority so get moving and start playing games with your Kids if you want to get to know them better! Dear Outblazers,We’re 15 years old and what an amazing ride it’s been. 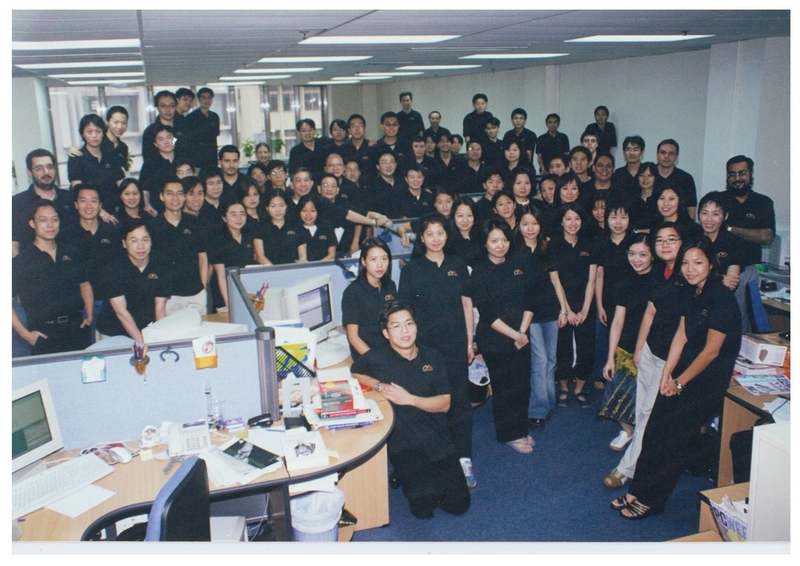 Technically, 15 years only makes us a teenager, but we are a teenager who is also one of the most pioneering technology companies in Hong Kong and, in fact, the world. – fixed broadband subscribers in Hong Kong numbered just 11,000! 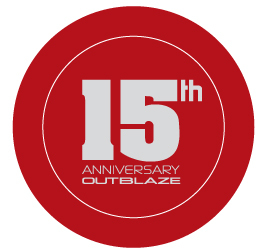 In 15 years Outblaze has accomplished a lot. 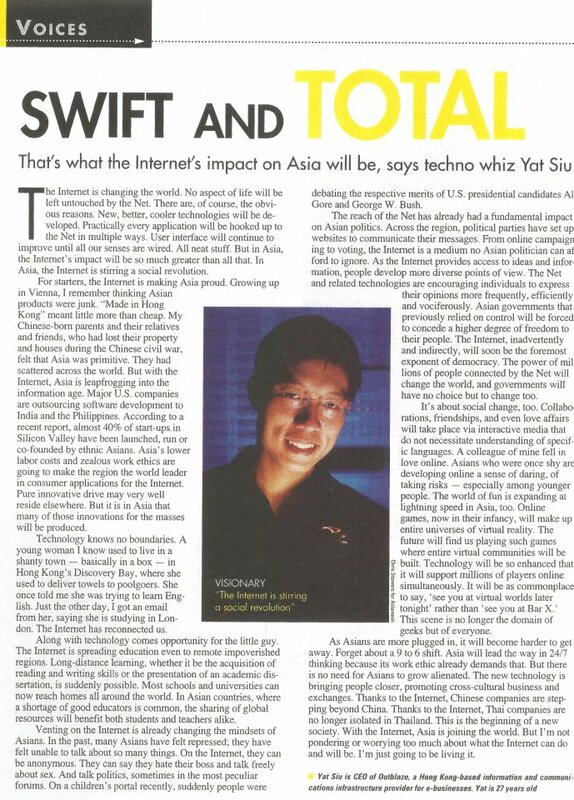 We quickly became dominant in the region, and have always been influential leaders in our technology sectors. Starting in 1998 we provided the backbone for Asia’s first crop of Internet companies and portal sites like China.com, Star TV, and PCCW. We enabled some of the largest portals in the USA to run what today would be called Cloud Computing services – companies like Network Solutions, Register.com, Mail.com, Univision and Lycos. We were early with 3D Animation back in 2000/1. We partnered with adidas to make the very first advergaming MMOG in 2006 for the FIFA World Cup (called Impossible Team Online). We created our first smartphone app in early 2009 when the number of iPhones was less than 10 million. We were one of the world’s largest e-mail and anti-spam companies – significant enough for IBM to buy all our messaging technology and establish the first real development lab of ANY major international tech company in Hong Kong, and we started developing for Android before Google Play was even born and in-app purchasing was only just released. Today, we are one of the largest and most respected app developers and publishers worldwide with dozens of awards, hundreds of apps, over 150 million downloads and 2.5 billion mobile game sessions and growing! Your commitment to our culture of hard but fun and passionate work is demonstrated in the products that we build. Your willingness to improve and innovate is the reason why we are able to compete on the global stage, day after day. The work you do has made us a pioneer for the last 15 years, and will make us a pioneer for many more years to come! We don’t call ourselves the Early Adopters for nothing. Every single Outblazer has earned the right to that proud title. Thank you for an amazing 15 years, and I look forward to many more years of fun and games…literally! Dr. Peter Attia: Is the obesity crisis hiding a bigger problem is a great self-reflective and very personal speech about his experience in the Medical Profession. He talks about his previous (mis)understanding of obesity/diabetes and how previous prejudice and wrong assumptions led to incorrect treatment that was never questioned and ultimately always led to blaming the patient for not taking better care of their health. Listen to the whole speech below but I liked this quote: “As medical professionals we’d shed our excess mental baggage and cured ourselves of new idea resistance […] the courage to throw out yesterdays ideas and the understanding that scientific truth isn’t final but constantly evolving”. Keep an open mind and have the courage to throw out yesterdays ideas and know that any “truth” (not just scientific) isn’t final but constantly evolving. Change is what gives us progress, embrace it. 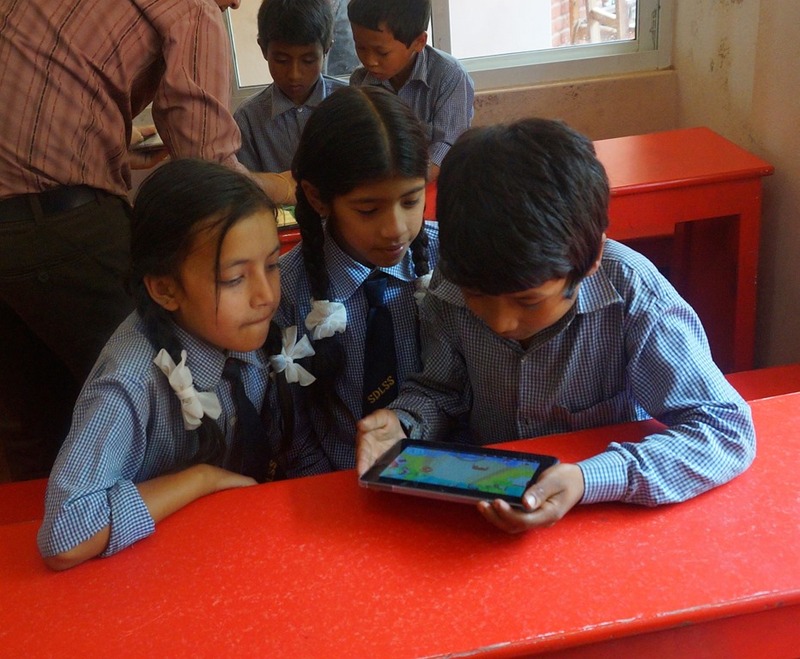 Child-driven Tablet learning experiences in a remote village school in Nepal. 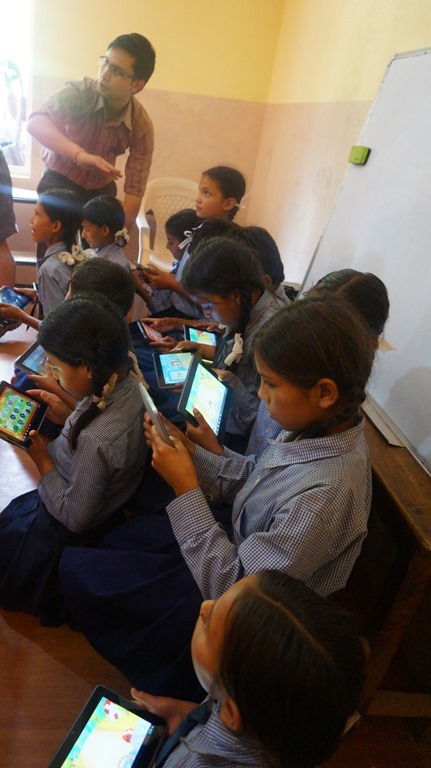 When we set out to donate Android Tablets to a remote village school in Nepal it was never intended to be a SOLE (Self-Organized Learning Environment) setup, in part, because the School that we are supporting was setup in a traditional manner with teachers, classrooms etc. That said, even with teachers present, the power of child-driven learning was clearly evident within just minutes of us passing out the tablets. My son had dutifully prepared a little step-by-step instruction assuming (correctly) that none of these Nepalese children in a remote village up in the mountains had ever seen such a tablet before and would therefore have difficulty using them. Many of the students don’t have electricity at home, let alone own any kind of digital device. What actually happened was that instead of being a “child lecturer” educating novices on the use of a technologically sophisticated device, my son ended up being more of an agile facilitator, a sort of sysadmin, stepping in when something appeared broken. This arrangement worked beautifully. In under 5 minutes an entire classroom of children, whose command of English was very poor (and my son speaks no Nepalese), were exploring their Android tablet, in some cases opening up new pre-installed educational apps, in other cases racking up high scores and 3 stars in Alphabet Car. It looked like the students could continue playing, engaging and learning from the tablets without adult supervision as competently as children in the developed world who are accustomed to regular tablet use. What was also fascinating was that small groups formed around those who picked up the devices before others; these “early adopters” began educating those around them on the use of the devices and teaching them how to do so, in their native tongue. While it wasn’t quite like Dr. Mitra’s Hole-in-the-Wall the effect was startlingly similar in that children began teaching and discovering all by themselves. 1. Giving children a tablet is the way to go, especially in underdeveloped areas. 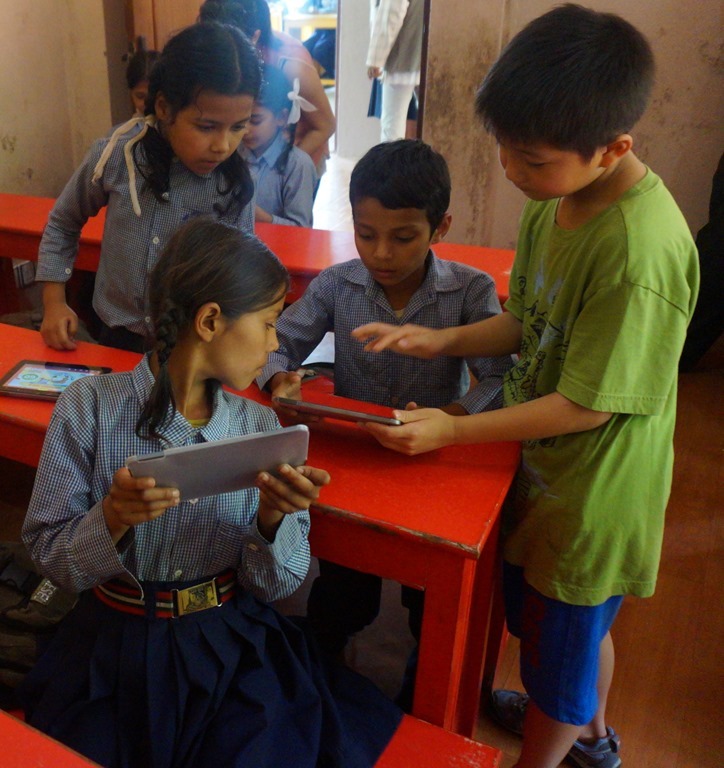 I’m not sure there is a need for OLPC (One Laptop Per Child) to cover that role given the excellent and affordable alternatives out there; it just seems productive to skip the laptop and go straight for the tablet instead. A tablet is also very portable and can be used anywhere and in an environment were a steady and reliable flow of electricity is a challenge; light and portable battery operated devices are ideal. 2. I believe the devices ought to be “open” (i.e. programmable/hackable/tinkerable) and that good quality color screens are important. As such I think Android is a great OS for this purpose, with many affordable options in its stable. 3. As a classroom model, consider giving tablets to share rather than one to each child; this could more opportunities for collaboration and teaching via peers rather than a figure of authority (i.e., teacher). Unlike a desktop PC, a tablet is ideal because they are multi-touch and naturally collaborative – and there are plenty of free apps that take advantage of that. The tablets we donated were Android PIPO U1 models, which, for the geeks out there is a Dual-Core 1.6Ghz running Android 4.1 on a 7” IPS 1280×800 screen, Wifi, Bluetooth and 16GB of onboard RAM with micro-SD Card expansion slot. More details of the Tablet donations available over at the Outblaze blog. 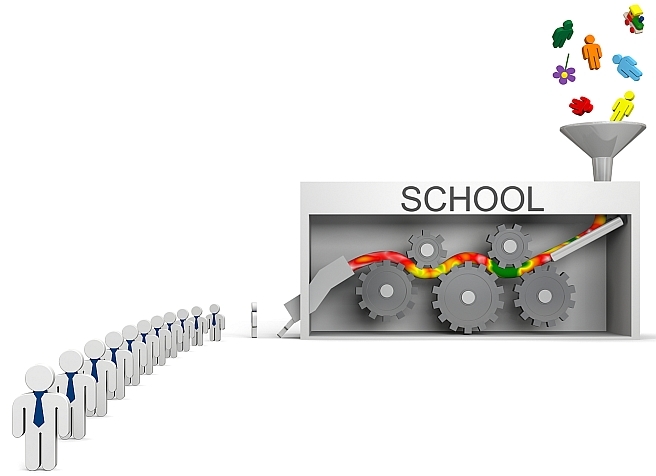 Are Schools killing innovation and Entrepreneurship? School’s are systematically stamping out creativity and slowing down innovation world wide by trying to standardize everything. Ken Robinson’s speech is a reminder that celebrating and encouraging the development of individual talent is much more likely to nurture creativity but most schools today focus on teaching in a standardized manner as if everyone was the same. There’s been a lot of talk that Innovation has been stalling, particularly in the classic areas of Science. For most of us who grew up to the whole “Tech Revolution” we didn’t have the benefit of being “educated” in that discipline. We had to discover it ourselves and essentially create our own future. There were no real courses one could attend for instance in the 80’s on the use of Computers and no teachers or mentors on how to do business over the Internet in the 90’s. We had to learn it by ourselves and be creative in the process and it is that unregulated and untaught subject matter that has created the worlds largest companies today in a span of just a few decades. This also means that Schools have played a significant part in stamping out the Entrepreneurial spirit because, by definition, an Entrepreneur will try to stand out, take risks and be different which in most Schools is typically not encouraged. I’ll write more on that later.